Vector image collection with icons and illustrations of important objects, landmarks and sites in Russia and elements of the country’s culture. Silhouettes of buildings, musical instruments, symbols of political parties and ideas, food illustrations, culture and history vectors. 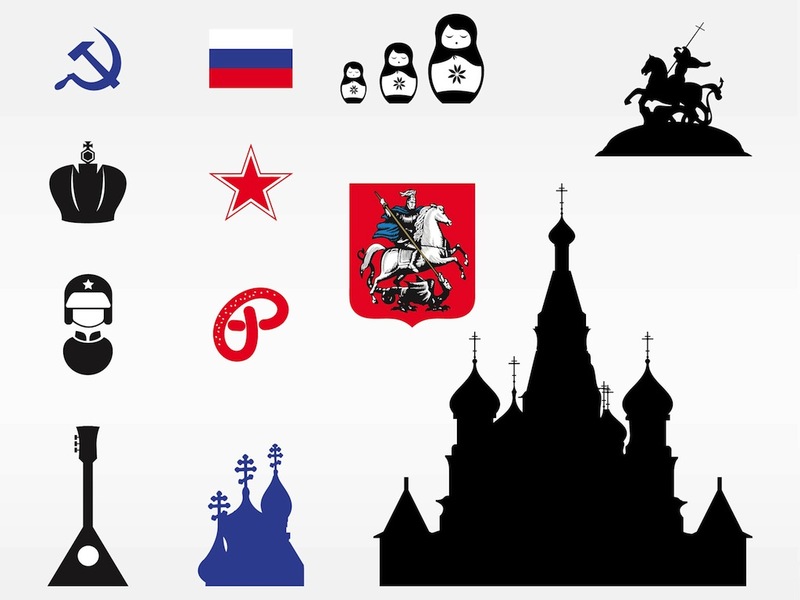 Free vector icons of hammer and sickle, holy crown, armed forces, Kremlin, Matryoshka dolls, flag and five-pointed star for all Russian culture and art projects. Tags: Country, Culture, Food, History, Kremlin, Matryoshka, Moscow, Russian.